Federal ministries, departments and agencies (MDAs) are becoming more responsive to the statutory guidelines for IT procurement as the National Information Technology Development Agency (NITDA ), the nation’s IT regulator, insists on strict compliance to IT procurement processes, checks by IT Edge News have revealed. By law, MDAs are under obligation to seek clearance from the NITDA before embarking on any IT project as enshrined in Section 6 of the NITDA Act, 2007, as well as Service-wide Circular from the Office of the Secretary to the Government of the Federation which makes the agency the clearing house for all IT procurement in the public sector. But MDAs hitherto ignored this law leading to duplicity of IT projects, poorly executed works and in several cases, non-implementation of public sector IT projects even when the contracts have been duly awarded and fully paid for. In 2017, NITDA signalled it was ending the ‘free contracts parties’ in the MDAs and would aggressively pursue compliance to the IT procurement law. 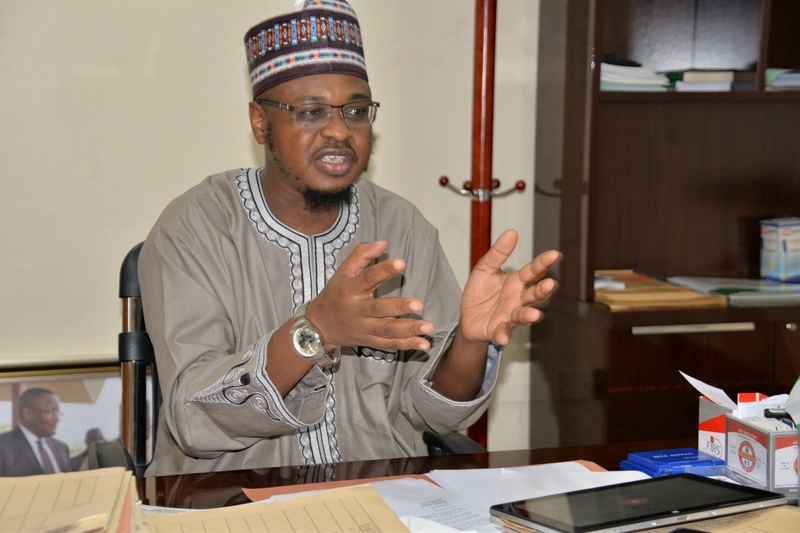 Director General of NITDA, Dr. Isa Ali Ibrahim Pantami, who had indicated immediately after assuming office in late 2016 that the agency would focus more on its regulatory duties, immediately adopted measures to ensure MDAs comply with IT procurement guidelines. Under the new deal, MDAs without IT procurement clearance from NITDA cannot implement such projects. Many MDAs did not believe NITDA would follow through with its new found assertiveness. In an interview that year with IT Edge News, Pantami disclosed that the action was informed by the realization that government’s investments in IT over the years do not have commensurate value proposition and as such, had become public service IT white elephants. NITDA’s clearance exercise is to ensure transparency in IT procurement by MDAs and be certain the projects align to government’s vision and policy. The clearance was also necessary to ensure there was sufficient integration of IT systems and services within the public sector to save costs, promote shared services, interoperability and improve efficiency as well as build indigenous IT capacity in a way that discourages undue patronage of foreign IT products or services where local variants are readily available. To deepen its ability for enforcements, NITDA successfully built a regulatory partnership with both the Economic and Financial Crimes Commission (EFCC) to checkmate wanton corruption being perpetrated by MDAs through the use of IT procurement as a smokescreen to defraud the government; and office of the Auditor General of the Federation (AGF). The AGF has ruled that for any IT project, there would be no contract confirmation for any MDA without NITDA clearance. Without NITDA’s procurement clearance, MDAs cannot pass through the AGF and they risk being investigated for corruption by the EFCC. More than ever before, MDAs are forced to seek NITDA’s approval before IT project implementation in a way that has helped to foster transparency and accountability in IT procurement process in the public sector. For NITDA, the results have been profound. The agency saved the federal government up to N3billion in 2017 from unnecessary expenses on foreign ICT procurements by MDAs and stoppage of duplicative procurements among other leakages that were blocked. “We have helped to stop the mismanagement of huge investment of public funds on IT Projects in ministries, departments and agencies of government,” said Pantami. In performance of its duties as the government’s clearinghouse for all IT procurement and services in the public sector, NITDA has effected clearance for entities that include the Central Bank of Nigeria (CBN), Nigerian National Petroleum Corporation (NNPC), Petroleum Equalisation Fund (Management) Board (PEF), EFCC, and Bank of Industry (BOI) among others. “There’s a fear with respect factor now in several MDAs. There’s the understanding that not to meet the compliance requirements has consequence,” said another top public servant in Abuja. As with the BPE, compliance is to ensure: economic efficiency; competition – providing level playing ground for all strata of bidders; value for money and transparency.